THE SONG OF THE UNIVERSE WAS RELEASED ON THE 1ST OF JUNE BY PEOPLE’S PRESS. Finally you can also choose to recite the Song as a prayer or as a spiritual practice. The Song however will have a deeper impact once you’ve completed the 15 soul journeys. You can order the book and the guided meditations in Danish in our web shop. 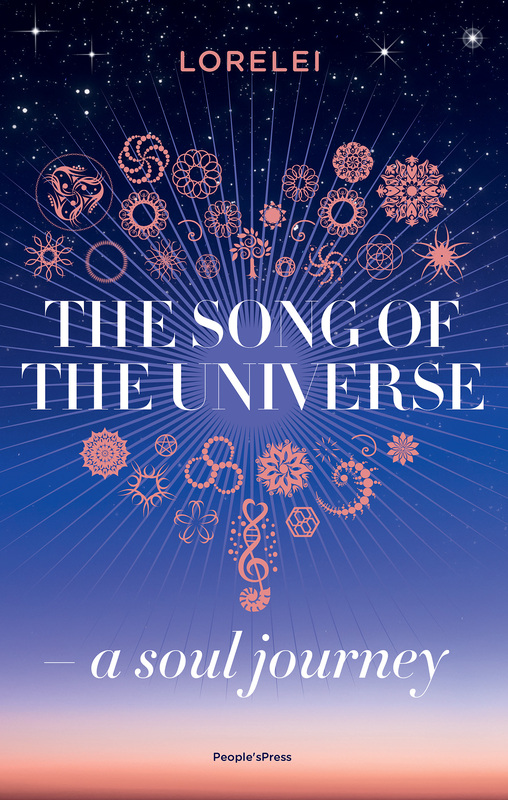 Or you can sign up to Lorelei’s newsletter if you want to be among the first to be notified when The Song of the Universe is translated into English and released. “As I began to write the chapter accompanying the first verse of the song, I AM the Light, energy suddenly rose up around me, forming a wondrous pillar of glowing white light, and before I knew it, I was catapulted upwards through the radiant pillar as if it were a wormhole in the universe. The energy was so intense that I could barely write. My crown chakra was lit on fire, and the mythical kundalini snake unfurled throughout my spine as I floated up through the canal of the luminous pillar. Powerful harmonies were booming in my mind’s ear, and before I knew it, I found myself in a completely different reality. I now found myself standing… on the Roof of the Universe.